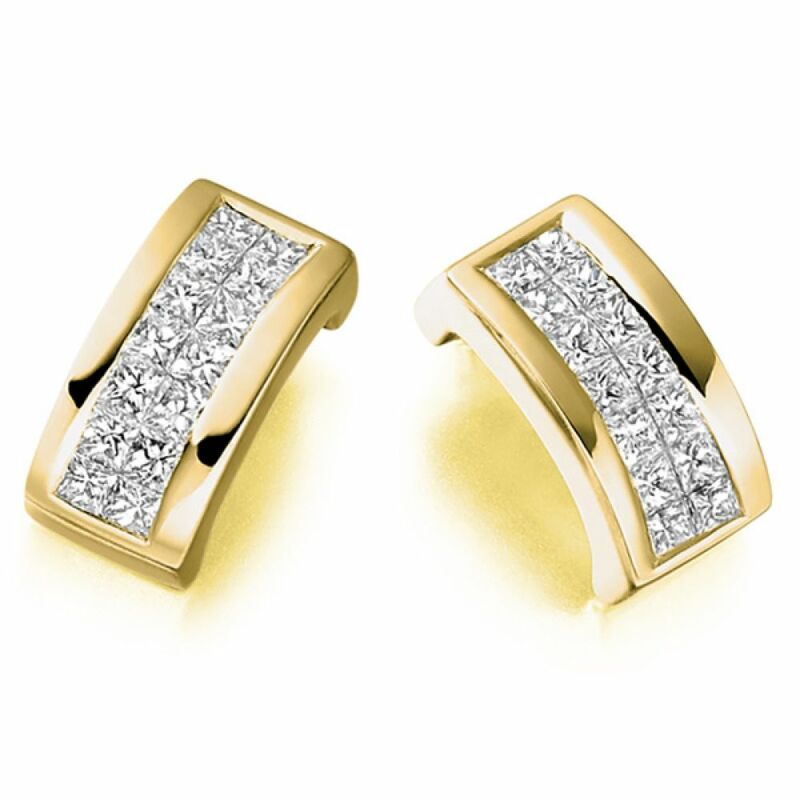 A pair of stud earrings with a matching set of Princess Cut diamonds invisbly set within a double row design. 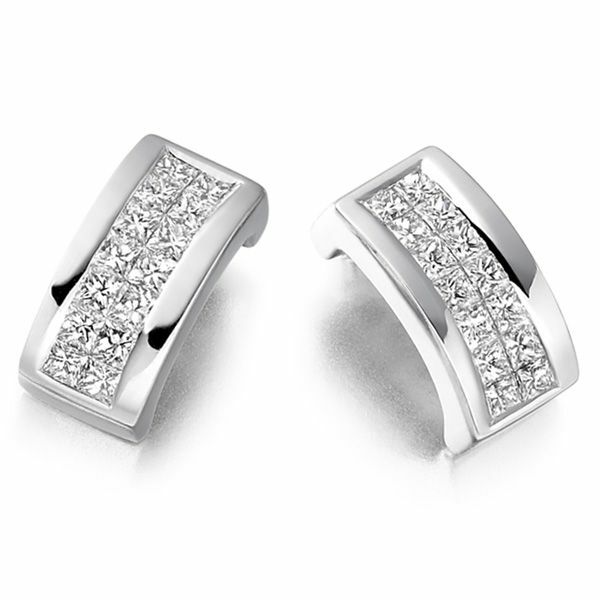 A visually captivating pair of invisibly set Princess cut Diamond earrings. 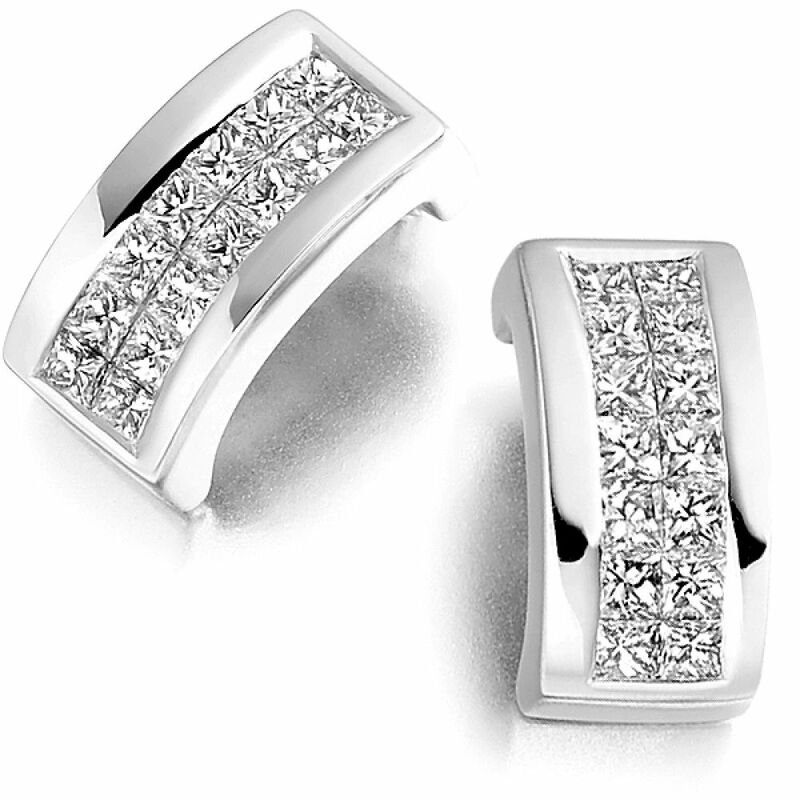 These stylish stud earrings are beautifully enhanced by the invisible setting of the precisely matched Princess cut Diamonds. Whilst being secure in the rectangular bezel setting, the natural beauty of the Diamonds, set in two rows, can escape and shine brightly. Holding a total carat weight, per pair of earrings, of 0.55 carats, with each Diamond having been graded F Colour and VS1 Clarity prior to being expertly placed within the setting. These earrings can be finished in several different precious metal finishes and are secured by a traditional post and butterfly backs, however, we supply a pair of Lox backs with this design for added peace of mind when wearing. After being lovingly crafted your earrings will arrive to you beautifully presented in our bespoke packaging. Please allow 4 weeks for delivery.